The shadows were long across the road as we set out from Alice Springs at 7:30. We had 450km to go to reach Uluru before Jennifer flew in from Sydney. The directions out of Alice were simple. In theory. Turn left on to the highway and then continue on for 200km. But somehow we managed to get lost at the airport 0 Google went entirely weird. 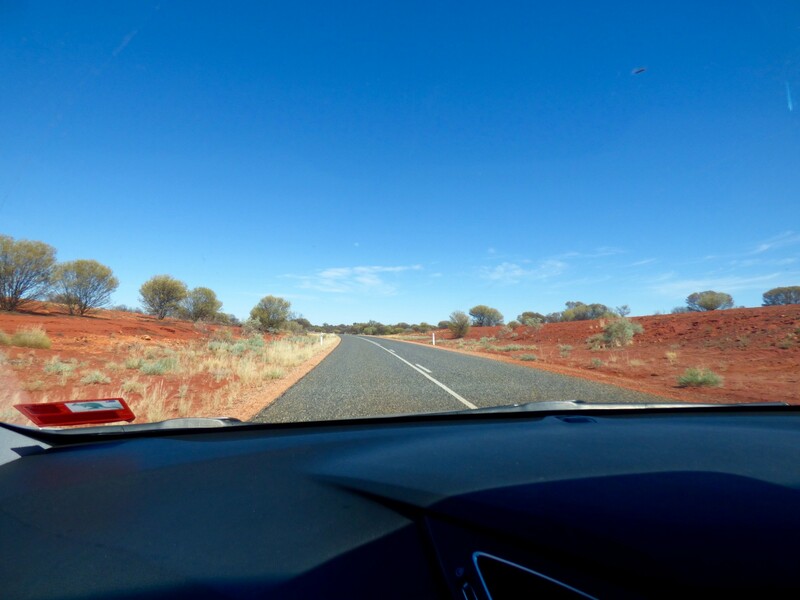 Given our problems with directions on arriving in Alice Springs, we were slightly bemused – in fact we were wondering if we’d entered a local version of the Bermuda Triangle. Back on the road we found ourselves in the midst of a long convoy of cars, although we’d expected a lonely road. Happily as we passed the local jail the entire convoy turned off, leaving us to continue on alone. The drive from Alice to Uluru is absolutely fabulous. The road is excellent, the speed-limit is 130km/h, and the scenery is glorious. There’s also very little other traffic. 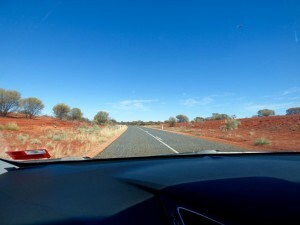 In the 200 km from Alice to Erlunda we saw precisely ten other vehicles. The desert landscape is endlessly fascinating and because it’s so flat even small changes stand out prominently. 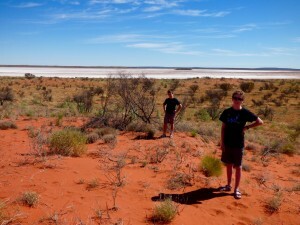 It’s not a classic desert of nothing but sand, there’s scrub and small trees amongst the red sands and it’s amazingly varied. We stopped at Erlunda Roadhouse for petrol and a cup of coffee which was remarkable both for being awful and for costing as much as a coffee in Venice’s San Marco. The next hundred kilometres were notable for having to overtake a road train, twice. This road train carried a house, a heavy earth mover and some indeterminate equipment. Passing it was a hair-raising experience. The mistake was stopping so that it got past us and that meant we ended up overtaking it again later. Let me say, it wasn’t any more fun the second time around. Salt pan on the road. About 100km further on we saw Mt Connor for the first time. Imagine a huge pyramid with the top chopped off about one-third of the way up, so you end up with just the base with a perfectly flat top. That’s Mt Connor and it’s quite spectacular. We stopped to take a photo and someonewe met suggested we climb a dune on the other side of the road and take a look at the salt-flat. 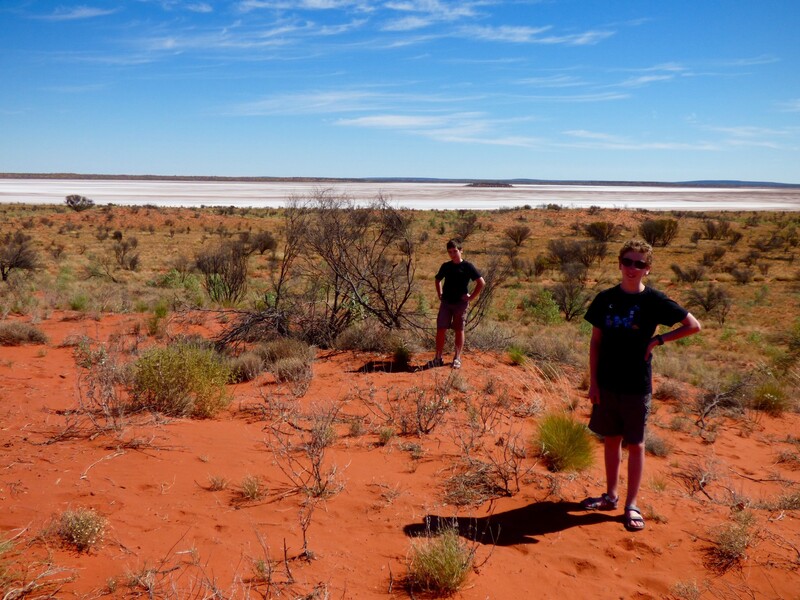 We thought the salt-flat might be the size of swimming pool but it turned out to be the size of a very large lake or a small sea. 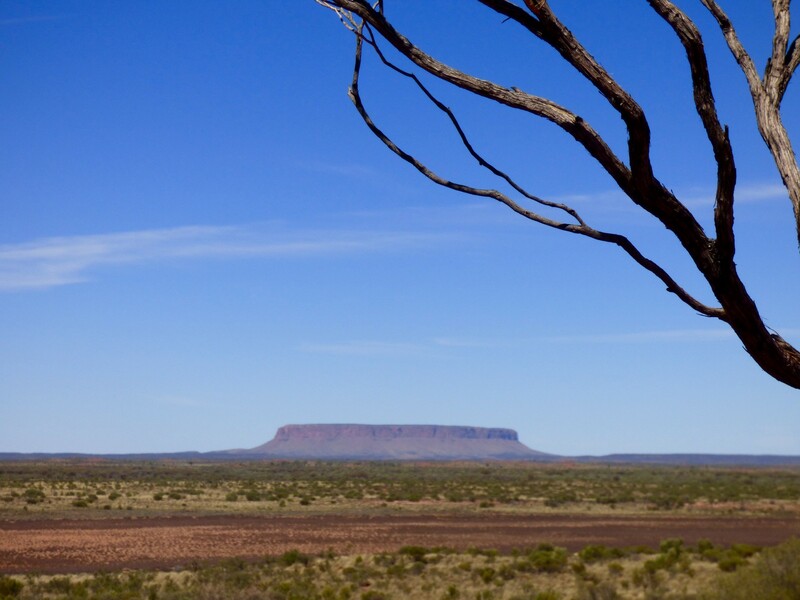 We spent some time contemplating why Mt Connor was not more famous, but then about 50km from Uluru we got our first sight of the Rock – and it really is amazing. It’s a combination of the way it rises from the flat plain and the wonderfully weathered roundness that makes it so distinctive. 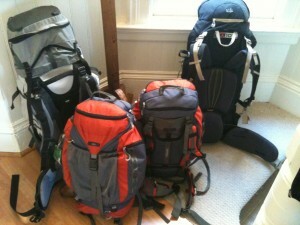 We arrived in time to meet Jennifer at the airport, and went off to visit the cultural centre at the Rock. We then drove up to the base of the Rock. 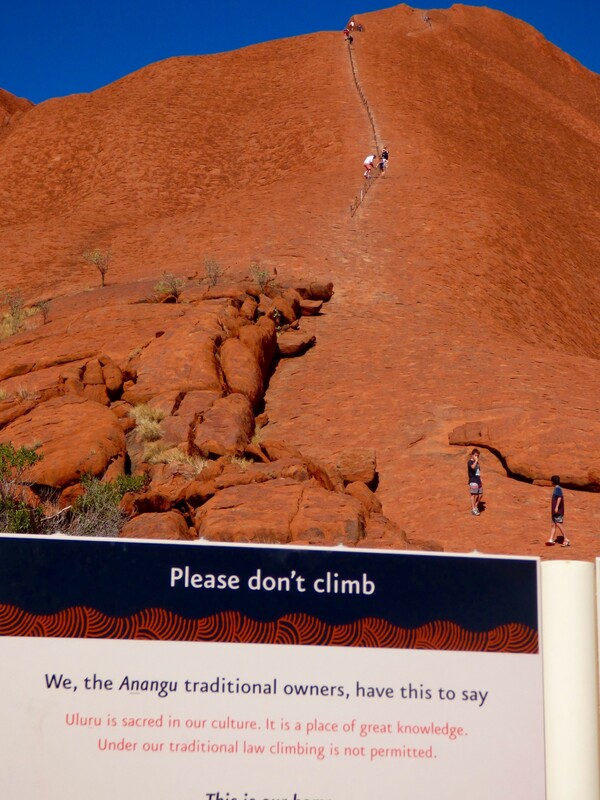 Let me just say that I completely do not understand the people that climb the Rock when the Aboriginal owners plead with them to respect their beliefs and not climb the Rock. I just don’t get it. Declan and I went for a swim in the late afternoon while Jennifer sipped wine while watching us and Callum remained back at the apartment working on his program. Callum continued working on his program over dinner by drawing all over the back of the paper place-mat, while Declan hatched a plan to survey climbers of the Rock to find out exactly what is going on in their minds.